Drivers enable Lyft to remain successful in the ridesharing world. Lyft is the closest competitor to UberX. These two app companies are delivering thousands of rides daily. Even with all these rides given, there are still plenty of ride requests available for SideCar, too. What we have here is a revolution in the transportation industry. Taxis still thrive in a free market where hard work translates into reliable earnings. Lyft drivers must know of a fee they are entitled to after a rider vomits inside their ride. On a busy weekend, many drunk passengers are requesting rides from Lyft. On many weekend nights last year, Lyft couldn't meet all of the demand. The ridesharing company fell 30% short of meeting their ride demand. For example, 30% of all ride requests went unanswered and Lyft requested their drivers to schedule shifts and drive in the busiest areas of San Francisco such as downtown, Marina and outer Mission. We all know that greater demand for rides suggest more drunk riders needing a Lyft home. There are a dozen occasions where drunk passengers almost vomited in my ride. Finally, a Lyft user requested a ride for his female friend dressed in a sheep costume. She looked dazed and confused. However, this non-Lyft rider was coherent enough to give me her exact address. I drove this girl to upper Golden Gate Ave. This ride went well because the female rider fell asleep. I thought to myself that a 15-20 minute ride would pay well and this was one of those relaxing moments to just drive and enjoy the night. I already gave 5 rides before this one and made good money. My driving party ended once I arrived in front of this girl's apartment complex. She woke up and started vomiting everywhere. It sounded like I was in one of those 28 Days Later horror flicks. I knew I was in for a long night dealing with this vomit mess. It sucked! Vomit chunks smothered the door, seat, floorboard, seatbelt, and everywhere else. It was the worst moment ridesharing ever. I opened the back door to help this girl exit my vehicle. She was so wasted that she had vomit all over her costume. This vomit drooled down her cheek, as well. The girl pushed me back, getting her nasty vomit on my jacket. I just let this girl leave. She walked across the street wobbling like a Walker from The Walking Dead show. What a disaster! This sheep followed the Halloween partygoers and couldn't handle her liquor. Based on the pink chunks, it appeared she ate some salmon at this party. Lucky for me the liquor diluted the vomit; otherwise I wouldn't have survived the drive down to the Safeway near The Great Highway. This is where I invested a few hours cleaning this mess, a process that took an entire week to resolve. In this cleanup, I reflected back to my military service where I worked as a medical technician in a surgical inpatient unit. These type of cleanups plus far greater disasters were expected during each shift at this busy military hospital. As a ridesharing driver, you deserve better respect than to clean after a rider who is irresponsible. End of real Lyft vomit story. Lyft drivers must be aware that drunk riders who vomit in their rides are entitled to a flat rate cleaning fee of $250. Lyft will either charge the rider or bonus a driver for having to deal with this disrespectful action. It doesn't matter if a driver informs the riders they have vomit bags readily available. These riders have too much pride to accept they are drunks. 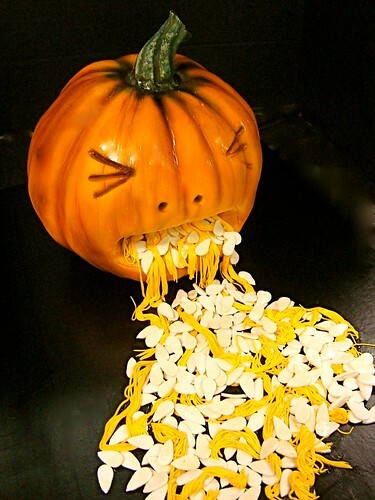 The moment any person vomits, they are viewed as fragile and weak. It's all good for Lyft drivers that deal with a vomit mess. Hopefully, the vomit episode occurs on the last ride rather than being the first pickup. My vomit episode took place after two hours of driving. This driver was making $40 an hour, and then their streak abruptly ended without any warning. Never yell at your passengers. Keep your anger to yourself. Use anger management to refrain from assaulting a rider. Be as professional and courteous as possible. If you can, give the rider tissue to wipe their mouths and to clean themselves up. The following steps are to be taken after a vomit episode. Depending on the time of the incident, you may need to cancel your upcoming hours. Make sure you go offline to avoid another ride request. If this vomit is a disaster, your shift will be done for the night. Park at a safe location. Take pictures of the vomit mess. Be as detailed as possible. Send a text message to Lyft support that a rider vomited in your vehicle and you will be sending a detailed email with images and an explanation. Drive to the nearest store to purchase cleaning supplies. You need to respond fast to this initial cleanup because this vomit and stomach acids will seep into your upholstery. Once the cleanup is completed, toss the gloves and used supplies in the garbage. Wash your hands thoroughly. Spray the inside of the car with a Lysol Flu spray. In the email to Lyft, upload a picture of rider's account screenshot and vomit mess. Write a detailed description of the events leading up to the vomit. Most important, request the flat rate cleaning fee of $250 to be charged to the rider or a bonus from Lyft. Don't accept any excuses from Lyft. They will request this money and pay you. You are entitled to this flat rate cleaning fee of $250, which is part of the user agreement. If a rider leaves any mess that requires cleaning, you get $250. You will likely lose valuable time dealing with this vomit mess. It will probably cost you additional money in lost earnings. For any Lyft or ridesharing drivers who have to deal with messy vomit riders, we apologize in advance. Want to avoid a vomit mess? If you notice your riders are drunk, tell them to remove a vomit bag. Forget about your ratings because the rider may get offended that you told them to use a vomit bag. Worry about your ride and the money and time you will be losing after a rider vomits. If you need to pull over, do this as quickly and as safely as possible. Tell your passenger that vomiting outside of window will only make the mess worse. They should know better than to vomit outside of a moving vehicle. If these riders decline using a vomit bag and make a mess, they will pay the flat cleaning rate. It is part of the user agreement, where they are financially responsible for any mess they leave behind. If a rider somehow refuses to pay this fee, Lyft will probably bonus the driver this $250 flat rate fee and may deactivate the rider's account. A Lyft driver may avoid a vomit mess with pulling over right away and telling the rider to open the door quickly. However, most riders who need to vomit are paralyzed by this sick feeling and can't control the situation. We hope you never have to deal with a vomit cleanup. If you are lucky and a rider vomit inside your car, your best bet is for this to happen on your last ride. At least you can make some money to salvage your shift. We all know that vomit messes require extensive cleaning, both during the initial cleanup and in the post-cleanup stages. We feel your pain. Good luck. Happy Ridesharing! Uber driver sign-up for UberX and receive bonus of $300 after 20 trip are taken.